As you have probably gathered by now I really enjoy my stillwater fishing. There is something about actually feeling the fish on the other end grab your fly and make mad dash for it without the help of the current. I have been doing a lot of work on rivers lately and felt it was about time to hit up a small and grossly underfished stillwater that had been in the back of my mind for ages. All it takes is a big brown to follow your first cast right to the bank to get you motivated for the rest of the day. 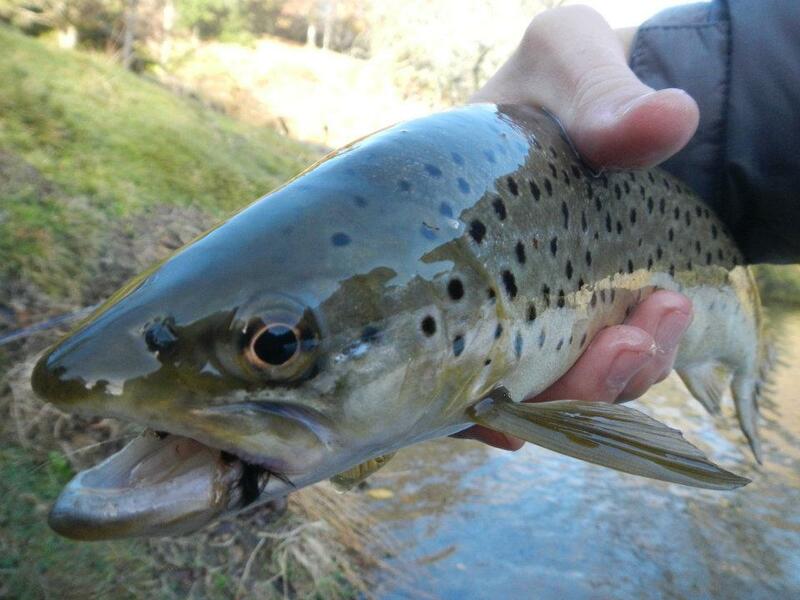 While the bigger ones eluded me I managed to get onto a few smaller browns which fought really well for their size. I enjoyed the mornings fishing so much that I am going back this weekend. Hopefully it all comes together and I get enough footage to warrant a new stillwater themed video. Here is a sample of one of the little critters from the lake. Good post thanks bro. Winter season here in Queenstown/South Island is all year long mostly! I've been out 10 times last month! Nick that's no good you can't follow the blog. I will have to have a sit down and try nut this thing out properly. You got any suggestions? What is even worse is that the fishing is slow for you. I wish I could offer some advice but my knowledge of your lakes is pretty limited. What I would suggest is to look for some British techniques for winter stillwater fishing. As competition fishing grows we are gaining a lot more European influence in our fishing and the British are renowned for their techniques which are designed to increase catch rates if nothing else. The heave and leave springs immediately to mind but there are others. Check them out for yourself. Back with a Vengeance .... and an 8wt.